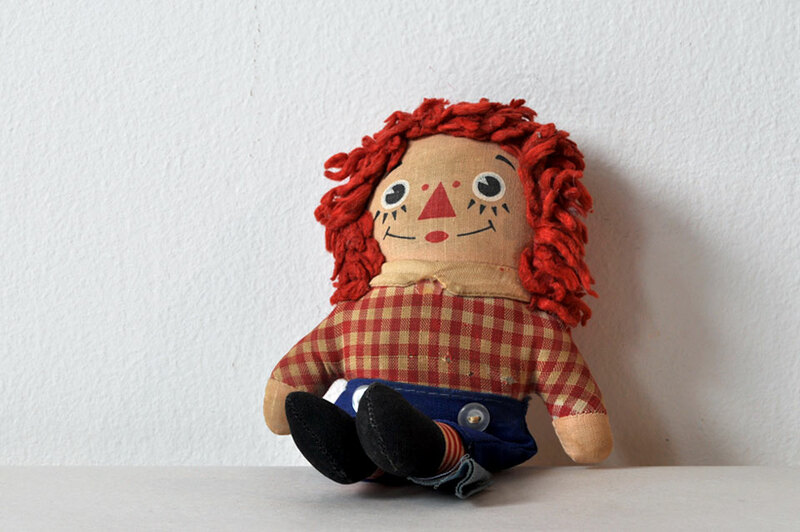 Raggedy Andy Doll. 6 1/2″ Cloth. Made in Taiwan, Republic of China. Tag states “Not to be removed until sold by retail and delivered”. His stuffing is every so slightly starting to come out of his back. Probably a cat scratch from many moons ago. There’s a also a wee tear on his front shirt. Otherwise, he’s in pretty good shape, considering the neglect this little chap has suffered. 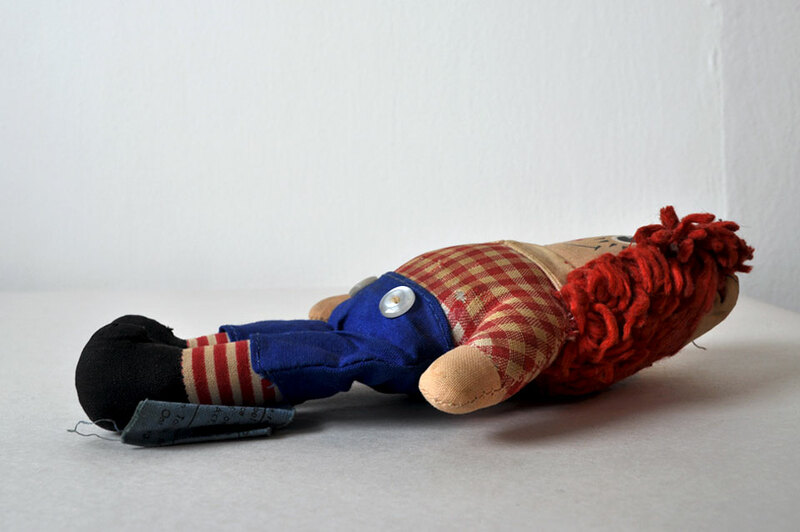 There is a bit of history at this website which tells the legends of Raggedy Ann and Andy, created by Johnny Gruelle. 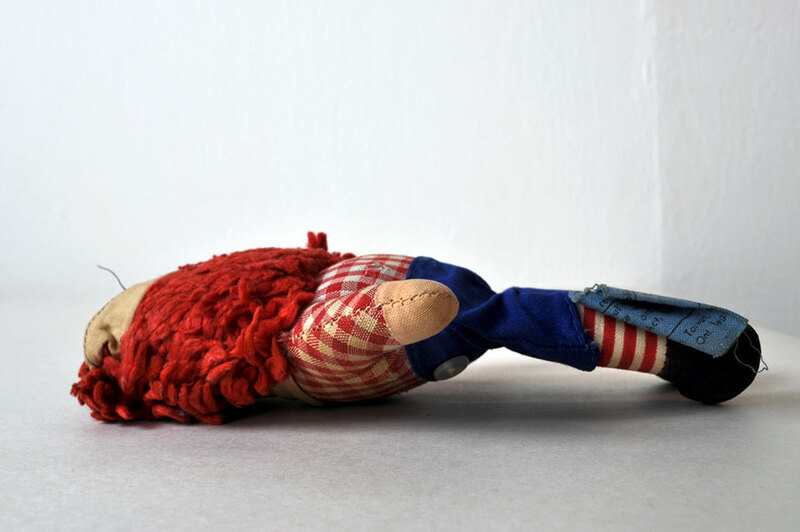 Sadly, one of them says Raggedy Ann was based upon his daughter, who died at 13. There’s another one about a candy heart being sewn into her heart. Raggedy Andy doesn’t get top billing. He was probably misbehaving. Status: All these Doll posts now belong to the “Create a special shelf/photograph/display” category.